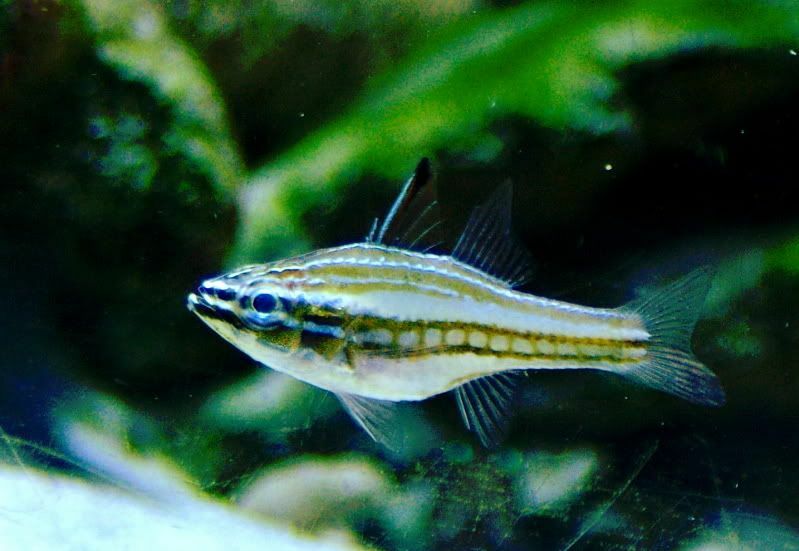 The Copper Lined Cardinalfish (Apogon margaritophorus) is an ideal inhabitant for reef tanks. They stay relatively small (about 3 inches) and will readily accept prepared foods. Mine eat flakes, pellets, and frozen mysis. They will school but its not a gurantee. I’ve found that in systems where they feel most comfortable they tend to pair off. They will tolerate each other’s presence but prefer to have their space. This fish is a good prospect for captive breeding.